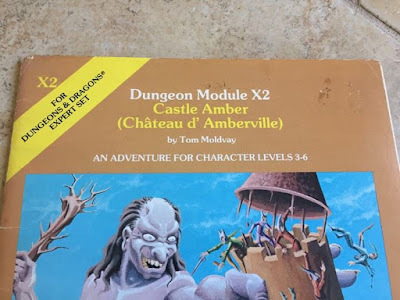 I've been rethinking X2 Castle Amber by Tom Moldvay again. There are so many ideas lurking under the surface of the adventure. 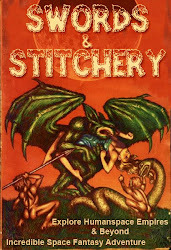 Partially a love letter to Clark Ashton Smith & Edgar Allen Poe, this is a send up adventure where the NPC personalities can literally take over the action if the DM isn't careful. But the D'Amberville family are perfect NPC's for the dungeon master to modify as needed. 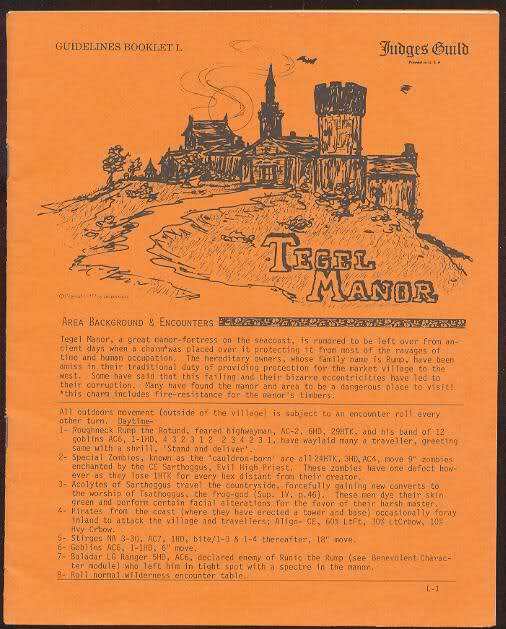 I was basically thinking that there's a deep connection between the D'Amberville family & the Rumps of Tegel Manor. Way back in the mists of time both families were responsible for guarding the well being of certain holdings of very high ranking minor royal family holdings. The invasion of the Turks in the Battle of Vienna 1683 marks the turning point when these two families were cursed . Lack of responsibility for the guarding of holdings of these families allowed the disastrous take over certain lands. This curse affects the sanity as well as the sorcery of the the D'Amberville family & Le Rumps. This set things up for a great haunted house affair campaign with both families taking the brunt of the occult malevolence. So why this battle?!" Because historians suggest the battle marked the turning point in the Ottoman–Habsburg wars, a 300-year struggle between the Holy Roman and Ottoman Empires." This battle was pivot to the history of Europe! The Battle of Vienna 1683 centered around one of the strongholds of Western Europe during the 1600's . According to wiki entry which has a good breakdown this was a key turning point between three of the power players in Europe; "The battle was fought by the Habsburg Monarchy, the Polish–Lithuanian Commonwealth and the Holy Roman Empire, under the command of King John III Sobieski against the Ottomans and their vassal and tributary states. The battle marked the first time the Commonwealth and the Holy Roman Empire had cooperated militarily against the Ottomans, and it is often seen as a turning point in history, after which "the Ottoman Turks ceased to be a menace to the Christian world". In the ensuing war that lasted until 1699, the Ottomans lost almost all of Hungary to the Holy Roman Emperor Leopold I. The battle was won by the combined forces of the Holy Roman Empire of the German Nation and the Polish–Lithuanian Commonwealth, the latter represented only by the forces of the Crown of the Kingdom of Poland (the march of the Lithuanian army was delayed, and they reached Vienna after it had been relieved). The Viennese garrison was led by Ernst Rüdiger Graf von Starhemberg, an Austrian subject of Holy Roman Emperor Leopold I. The overall command was held by the senior leader, the King of Poland, John III Sobieski, who led the relief forces. The opposing military forces were those of the Ottoman Empire and Ottoman fiefdoms, commanded by Grand Vizier Merzifonlu Kara Mustafa Pasha. The Ottoman army numbered approximately 90,000 to 300,000[better source needed] men (according to documents on the order of battle found in Kara Mustafa's tent, initial strength at the start of the campaign was 170,000 men). They began the siege on 14 July 1683. Ottoman forces consisted, among other units, of 60 ortas of Janissaries (12,000 men paper-strength) with an observation army of some 70,000 men watching the countryside. The decisive battle took place on 12 September, after the united relief army had arrived. Historians suggest the battle marked the turning point in the Ottoman–Habsburg wars." French mercenary forces were involved in the conflict hence the French connection within this background. Meanwhile in the background powerful witches & wizards on both sides of the conflict manipulate key battle factors such as weather, monsters, men, disease, etc. Vastly powerful covens & cabals move the occult powers of Heaven & Earth to decide the fate of Europe. Here's where the Dark Albion By Rpg Pundit setting could be used to fill in many of the more esoteric forces behind the scenes. Perhaps even using B2 Keep On The Borderlands as part of a backwater Hungarian border location. This grants the Caves of Chaos yet another wrinkle in Europe's possible history. This makes the keep a key warfare location, a hold over from the 'time of legends & myths'. There were many terrible powers occult forces active during the three hundred years of the Ottoman–Habsburg wars. This includes the dangerous wizard Stephen D'Amberville & members of the D'Amberville family who had a major impact on Europe behind the scenes. This sets up events for the curse to come about on both families in this campaign. The castle Amber is its own demi plane banished to Fairyland or worse. 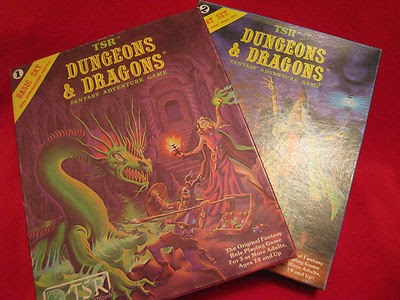 This leaves plenty of dungeon crawling adventure opportunities for the player's PC's. The D'Amberville could appear alive & uncursed as NPC's,royals, or even as patrons for the party. By the time of the events of X2 the shocking state of the family will come to play. All encounters in X2 should be weird & proactive with the NPC family members having insane rivalries & weird battles. B2 Keep On The Borderlands adventure NPC's could appear in other foreshadowing adventures with the forces of Chaos suddenly taking out soldiers on both sides. Powerful royal forces of the Ottoman-Habsburg wars could be revealed as liches who have been fronting the battles for three hundred years. The forces of chaos have been using the fog of war to spread their cult's influence across Europe for centuries. Artifacts of occult power & relics have been used as bribes by the Ottomans to weaken key European houses. 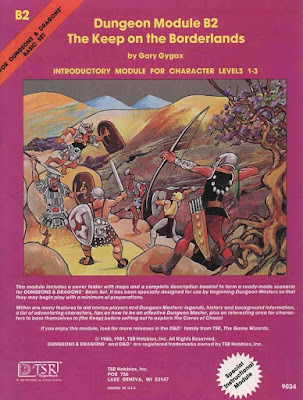 The adventurers must recover these artifacts. 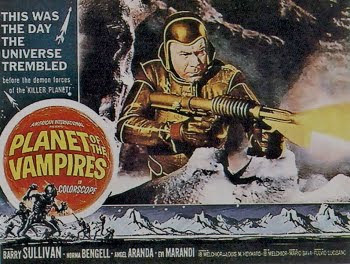 One of the PC's is a key element in an occult ritual & is targeted by occult forces & soldiers. The party must figure out a solution within the walls of Castle Amber. The blood curse of the castle involves one of the PC's & their fate is intertwined with the D'Amberville family .